Real talk: After Requiem for a Dream, The Wrestler and Black Swan, I'd pretty much hand Darren Aronofsky the keys to the kingdom. Obviously I'm a huge fan of the writer/director, but I have to admit that upon hearing about his plans to adapt NOAH for the big screen, I didn't know what to think. 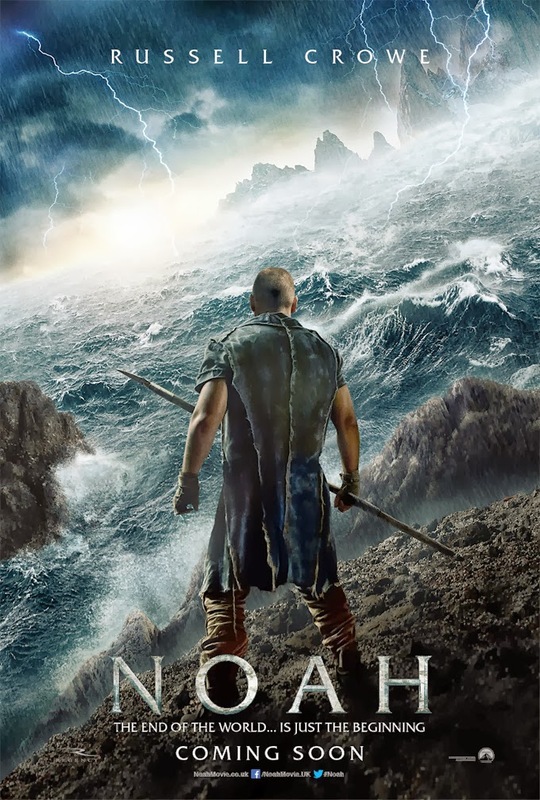 On the one hand, I figured the movie will probably have impeccably subtle visual nuances (and a spectacular flood), but I was worried about the subject material. Why try to re-imagine a Biblical character? It just seems like an archaic idea to me, and one which may alienate some audiences (consider Mel Gibson's Passion of the Christ). Frankly, there is just very little room to modernize Biblical concepts (though it's been reported that Aronofsky approached the film as more of a fable than a religious story). But it looks as though Aronfsky somehow found a way to blend the epic effects of a standard action film into this type of antiquated tale, hopefully making it more accessible to wider audiences. I'm most excited to see the filmmaker reunite with Jennifer Connelly (who he directed in Requiem, which I still think is her best performance). She plays Naameh, wife of the titular character (which will be played by her Beautiful Mind husband, Russell Crowe). Emma Watson also stars in the film as Ila, a friend of Noah's son, while Anthony Hopkins plays Methuselah, Noah's grandfather.